A new study by ChargeItSpot has found what many independent grocers already know to be true: store associates who prioritize customer service make all the difference. In fact, the results found that the interaction is even more important to a growing consumer base: Millennials. A major highlight of the study finds 63 percent of all shoppers see store associates as extremely important and another 28 percent report that store associates are somewhat important. Just 9 percent said associates were unimportant to their shopping experience. Tech-savvy Millennials placed the highest value on store associates, while Baby Boomers were the most comfortable removing that human interaction. The study also found that 43 percent of consumers would not shop at a store where bots replaced human workers, with 27 percent saying yes and 30 percent saying they might. These insights reinforce part of the NGA report called “The Independent Consumer,” which outlines shopper preference based on the consumer survey. The report compares attitudes of those who shop in different types of stores, such as independents and national chains. 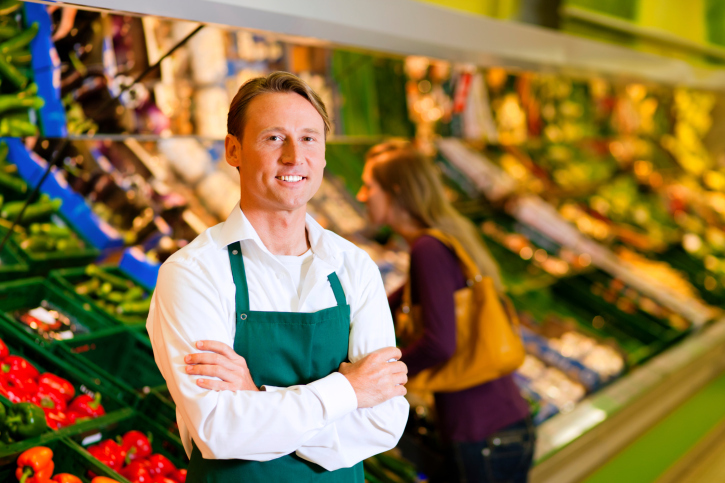 In the report, independent supermarket shoppers ranked “courteous, friendly employees” with very strong importance. Best of all, the independent supermarket industry is already performing well in this category and has a significant advantage over national chains to provide better customer service. Learn more about personal and digital interactions, as well as consumer attitudes toward independent grocers by clicking HERE.